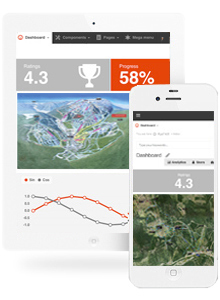 Real-time tracking of patrollers, reducing the risk on ski hills. 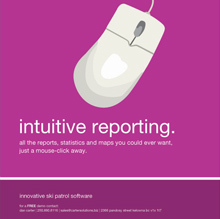 The Ski Patrol Software is designed to help track incidents, equipment, vitals tracking, real-time system alerts, infractions, lift downs, groomer activity, sweeps while providing a rich set of mapping tools, reporting and incident investigation tools. Responsive build runs on a dedicated on hill server that can be accessed via mobile, tablet and desktop. The primary persona's using the software are Patrol Managers, Patrollers, Dispatchers and Admins. 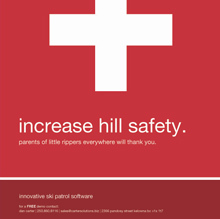 Running smoothly for over 8 years now the Ski Patrol Software is still ahead of its time for helping ski hills manage risk and help save lives. 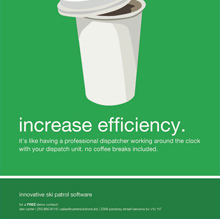 Intuitive user experience with alerts that prompt users for vitals, first patroller on scene and more. Real time mapping features show equipment stocks real-time for all locations. Solid software runs without any issues for over 8 years. 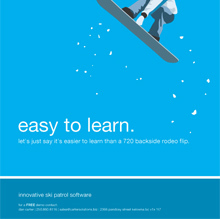 Custom software build for the ski industry.